Keeping in mind the precise demands of clients, we manufacture and export a wide range of Hospital Garment. 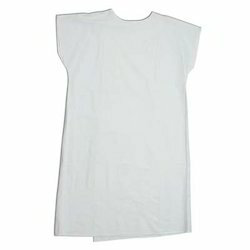 These garments are fabricated using high quality fabrics procured from reliable vendors of the industry. Our garments are extensively demanded for maximum comfort and easy maintenance. Besides, these can be availed in various standard sizes and specifications. They are the gown, which is practical, comfortable, and cost-effective in the health care field. Patients are wearing these gowns, when they are admitted and going for any organ surgery. Patients Gown contain a front pocket for placing any paper slips. Counted as one of the renowned manufacturers and suppliers, we offer a qualitative range Hospital Pyjama. Our Pyjama is fabricated from 100% cotton fabrics to ensure durability and utmost comfort to the wearer. These are neatly stitched by experienced tailors using latest sewing machines. 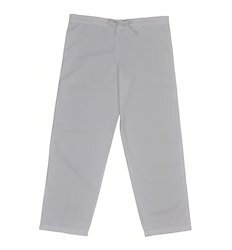 Easy to wash and maintain, our Pyjama are shrink resistant and colorfast. These are available in various standard sizes and specifications. They are wear by the doctor in a hospital to represent their identity. Doctors Coat are made in a white color and have a size of 28. They are easy for washing, flexible and long running. These coats are available in half or full sleeves both.